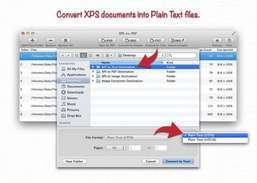 XPS-to-PDFis a simple, efficient and fast way to batch convert XMLPaper Specification (XPS, *.xps) and Open XML Paper Specification(OXPS, *.oxps) documents into PDF, JPG, PNG, TIFF, Multi-Page TIFF, BMP and Plain Text formats. 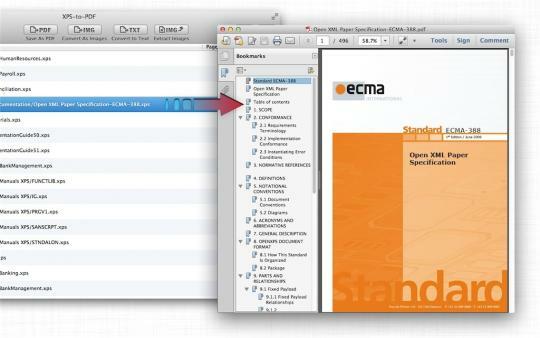 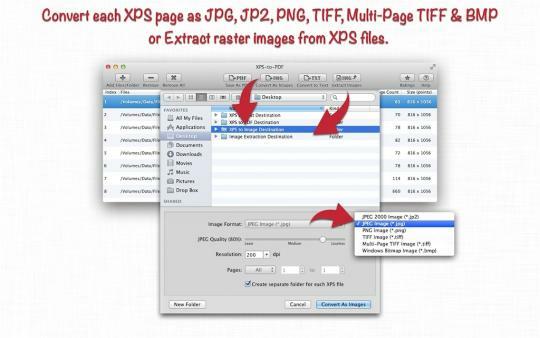 In addition XPS-to-PDF can extracts raster images from XPS documents. 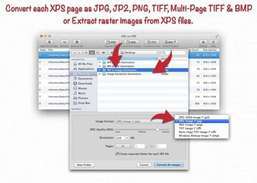 XPS To PDF supports JPEG, JPEG2000 and Flate image compression types along with output quality for PDF conversion. 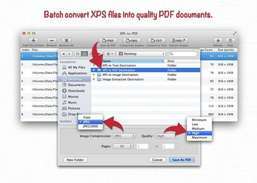 XPS To PDF has very flexible options to add XPS files into conversion list. 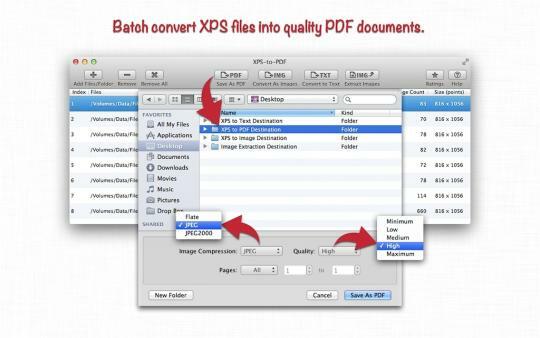 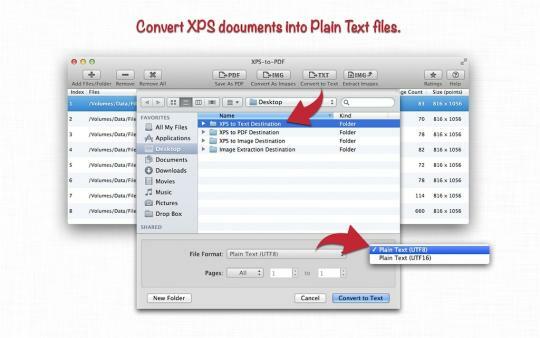 Simply Drag & Drop into list or Right click Open With in Finder or Drop on XPS To PDF application to add files for export beside direct Add File/Folder buttons. 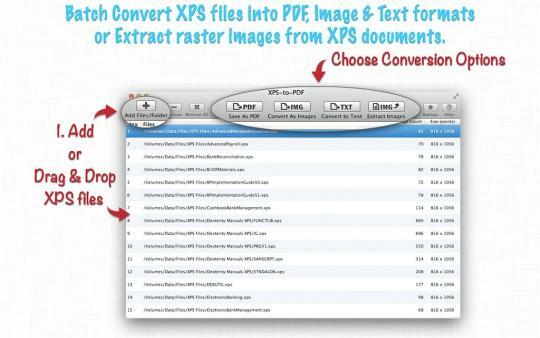 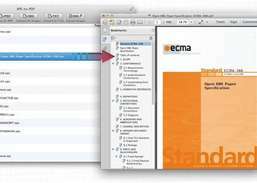 Convert and combine GIF, JPG, PDF, TIFF and PNG files to PDF.